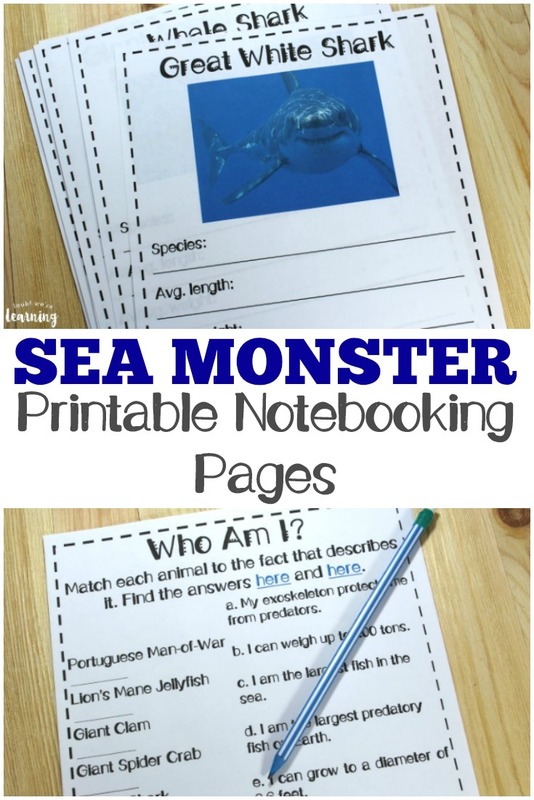 Printable Sea Monster Notebooking Pages - Look! We're Learning! 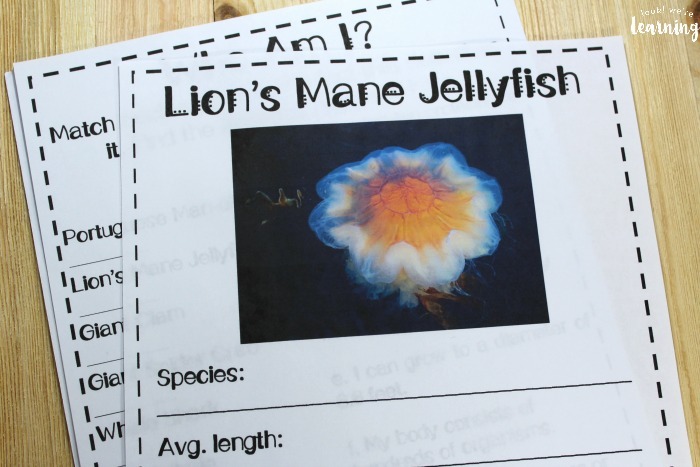 We love learning about marine animals with our kids. 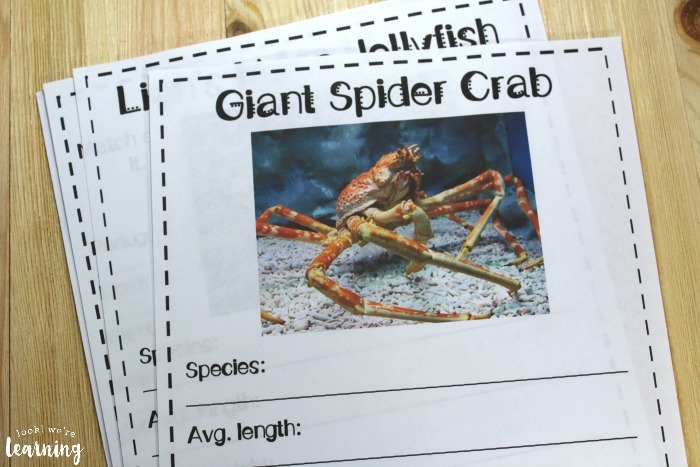 Whenever we’ve researched animals that live under the sea, the kids are amazed at how large some of these creatures can get. And they can get really big. 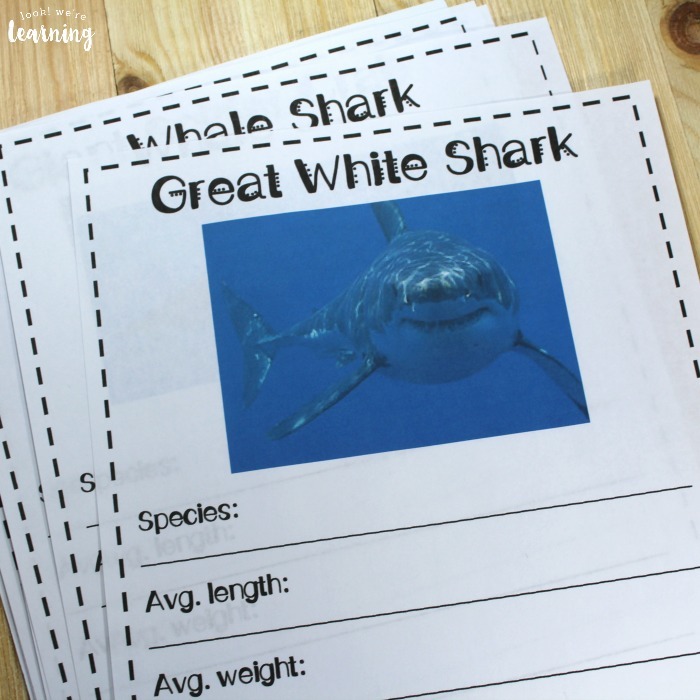 To help our kids learn more about giant animals that live in the sea, we put together these free sea monster notebooking pages! 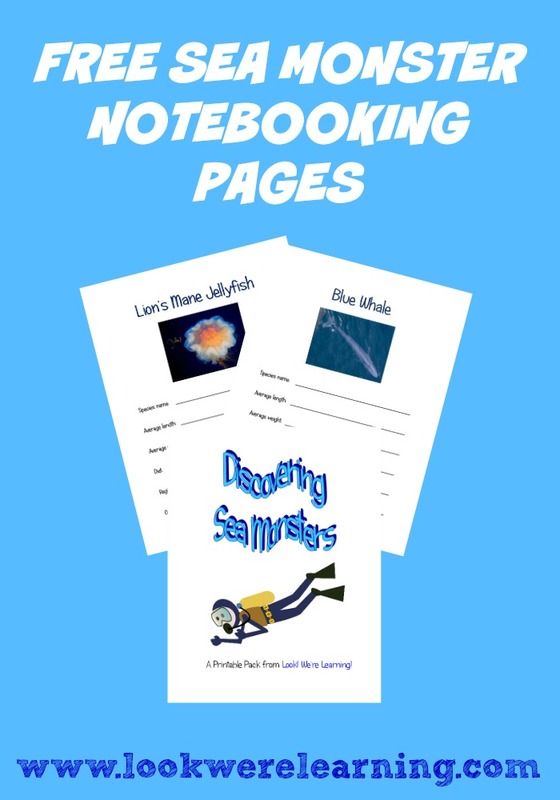 It’s a notebooking pack all about giant sea monsters such as giant squids, lion’s mane jellyfish, and blue whales. We’ll be using it in a few weeks when we take the kids to a nearby aquarium, but we thought we’d share it with you now so you can use it with your family whenever you see fit. 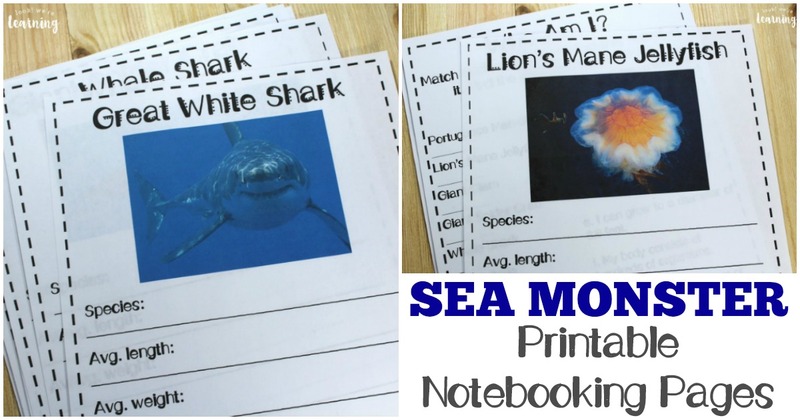 Read on to claim your Free Sea Monster Notebooking Pages! These would be wonderful for an ocean unit or an upcoming field trip or however you want to use them. 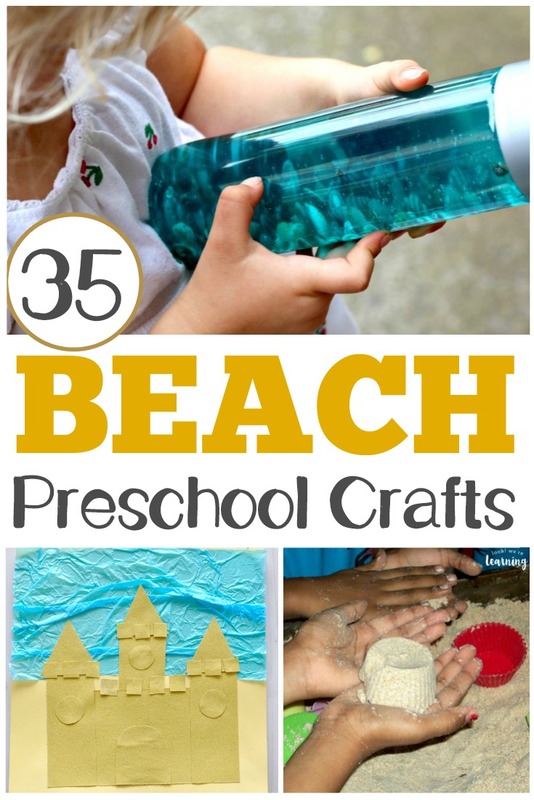 Want to add even more ocean and beach learning resources to your lessons? 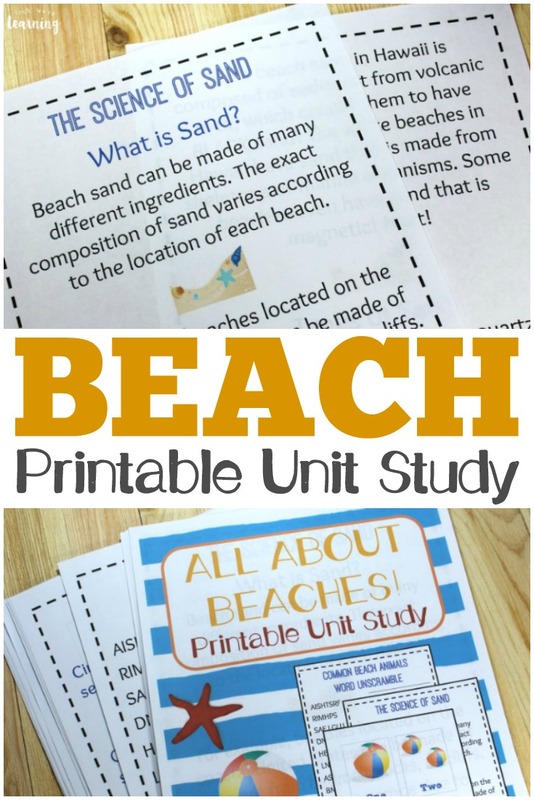 Check out our printable All About Beaches unit study for elementary students! and the Great White Shark! 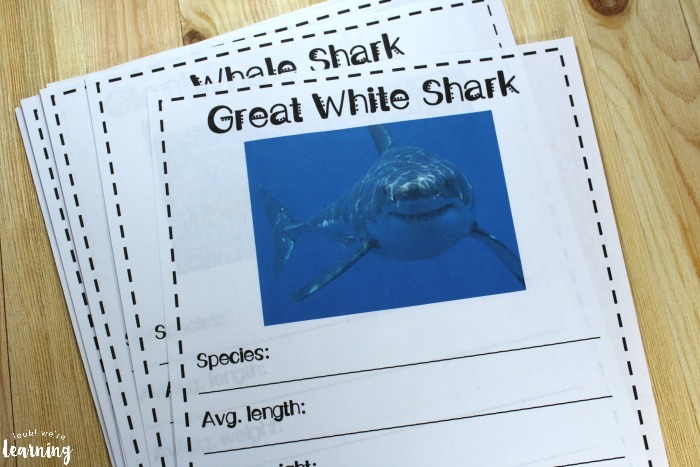 On each page, a different giant sea animal is pictured and there are basic facts for kids to research, such as the average size and weight of the species, the ocean depth at which the animal is usually found, and the kind of food the animal eats. The pack concludes with a Who Am I? 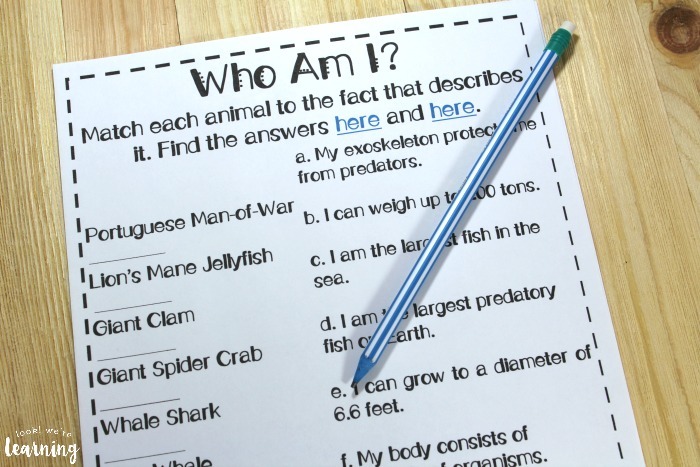 exercise that allows kids to match up facts with the correct animal. Most of the information you’ll need for the answers can be found on National Geographic, one of our favorite websites. And the links you’ll need are included in the set! 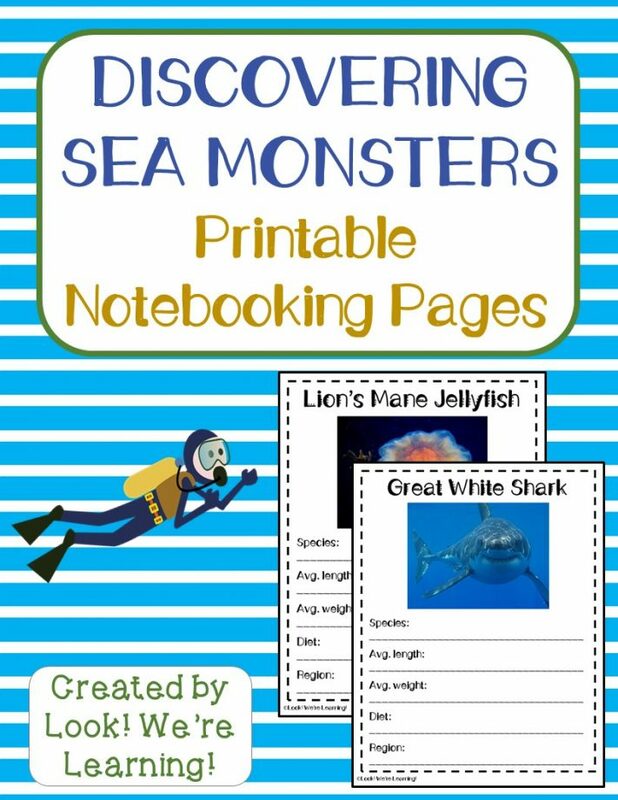 Scroll down to get your copy of our free Sea Monster Notebooking Pages! These kids’ books about sea monsters include information about modern and prehistoric ocean giants! 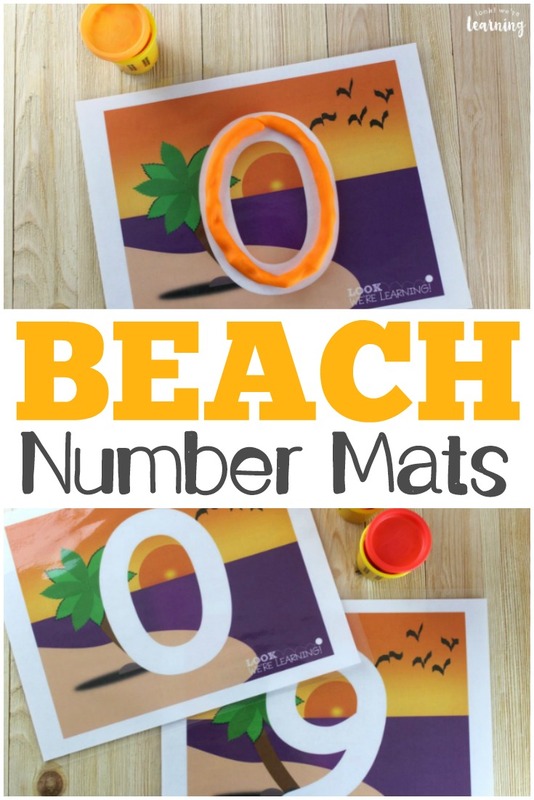 Don’t miss these other fun learning ideas! 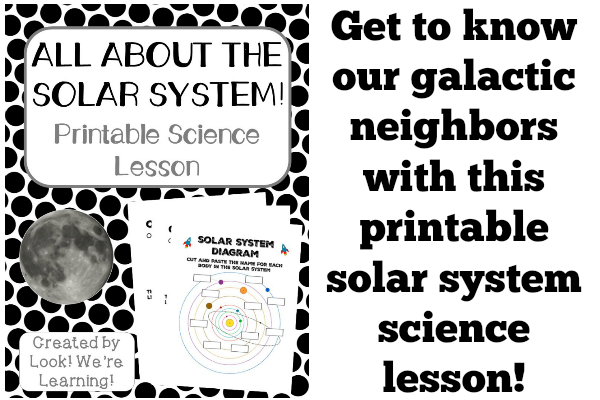 And see more printable resources for homeschooling on my Homeschool Printables Pinterest board! To download the Free Sea Monster Notebooking Pages, sign up for our email newsletter! You’ll receive access to these printables, plus lots more, in our exclusive Subscriber Library! Selena, you did a great job with these! Thanks – Pinning. Selena, this is awesome!! My daughter loves whale sharks, and I think she would have a great time learning about the other animals you chose too! Thanks for linking up at Teach Me Tuesday on Preschool Powol Packets! !